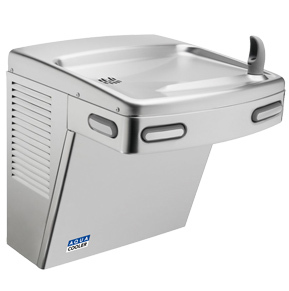 VersaCooler Stainless Steel Refigerated Water Fountains "Click Here For More Information"
The VersaCooler Series of drinking fountains come in a wide range of configurations including single and dual level designs. The heavy duty galvanized steel frame makes these units extra durable for high volume applications. With the optional upgrage to vandal resistant design. The VersaCooler is perfect for schools and public areas. To Download a Data Sheet Click Here.